This week we’re featuring our Hardrock Mining gallery from Flickr. 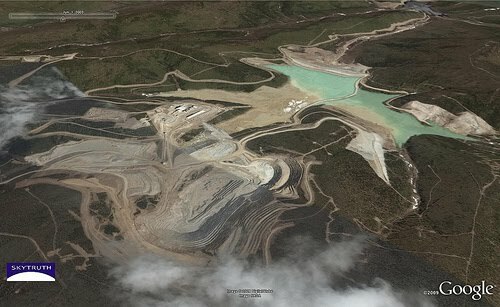 Click here to read about the Ft. Knox Gold Mine in Alaska, as shown in just two of the beautiful images below. 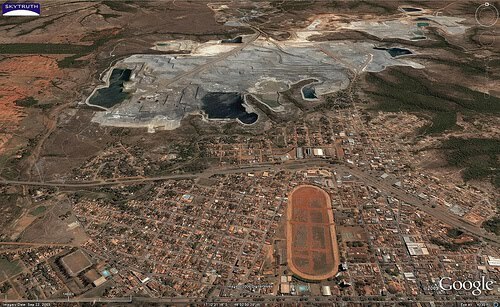 And checkout the difference between the size of the mine in 2003 and how much bigger it’s grown by 2007. Also in our Hardrock Mining gallery are some images of the breathtaking area on Berner’s Bay north of Juneau, Alaska where the Kensington underground gold mine is being built. 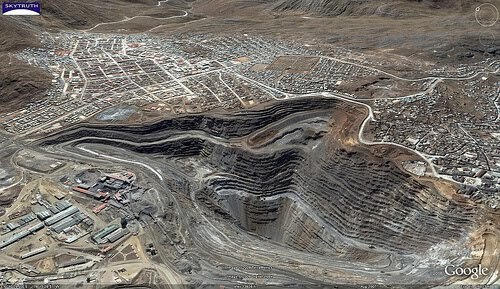 Some stunning images showing mines in both Brazil and Peru. Read more about them here. 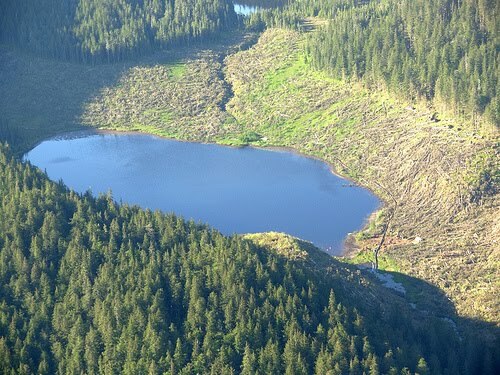 From our blog of December, 2009, you can read about how drilling was stopped at the Mt. 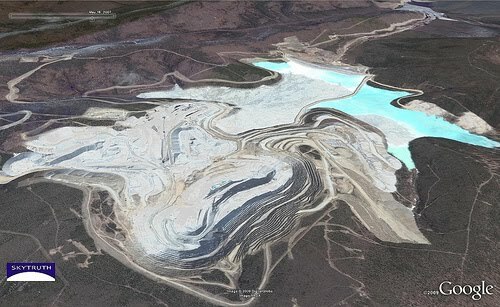 Tenabo – Cortez Hills Gold Mine in Nevada by a U.S. Federal Court of Appeals. Go check out these and many more images in our Hardrock Mining Gallery, and stay tuned for our next featured gallery! 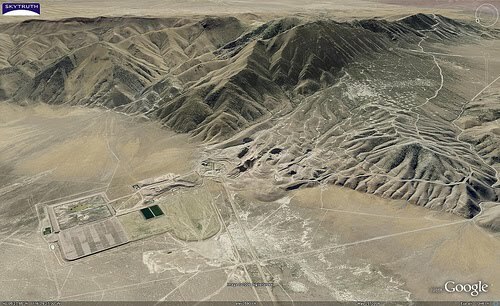 Panoramic view of Mount Tenabo, Nevada, site of proposed open-pit gold mine. The Cortez Hills mine has been vigorously opposed by the Western Shoshone tribe, which considers Mount Tenabo a sacred site. 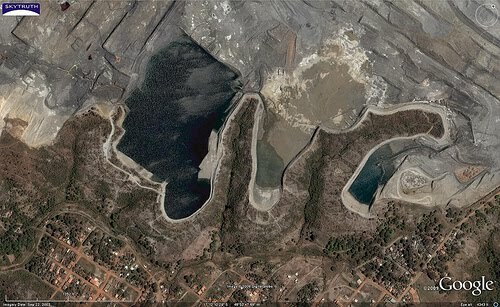 Much construction activity has already taken place for the proposed mine. 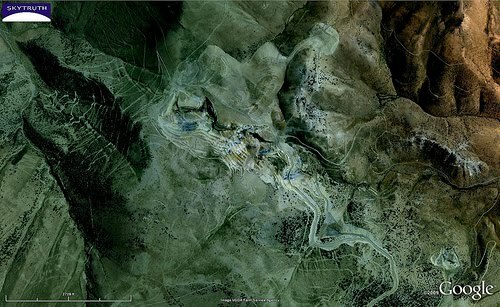 See more SkyTruth images of the site here. 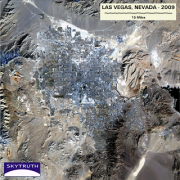 Not everything that happens in Vegas, stays in Vegas: the city has seriously bulked up in recent decades, something that is very obvious from space. 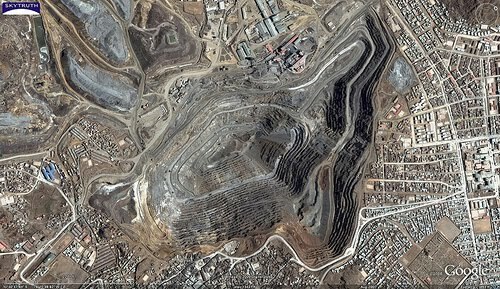 In honor of the Landsat-5 satellite’s jaw-dropping 25th year of operation, NASA has released images taken from 1984 to 2009. The population of Clark County, home of Las Vegas, quadrupled during that time from 463,000 in 1980 to just over 2 million this year. We used the NASA imagery to generate a time-series of images showing this growth. 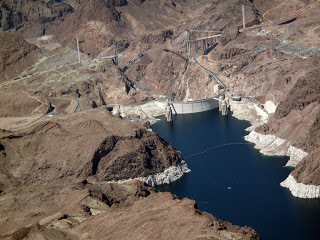 Another notable feature in the images is the sharp drop in water level in Lake Mead, one of the most important reservoirs on the Colorado River. The rapid population growth in the Colorado basin is colliding with an ongoing drought, and increasing use of water for oil and gas drilling. The development of oil shale — an ongoing controvery — would divert large amounts of water out of the Colorado River system (see a report on projected energy development (including oil shale) and water demands issued by the Colorado River Water Conservation District, and a factsheet on oil shale development and water use from the U.S. Department of Energy). UPDATE 3/17/09: Western Resource Advocates issued a report today called “Water on the Rocks,” taking a look at the water rights in Colorado that are currently held by companies interested in oil-shale production, and the potential water use that oil-shale production would entail. 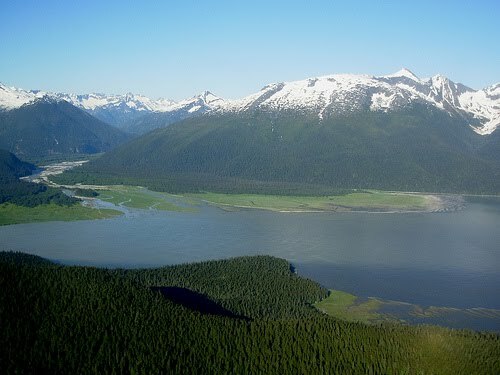 Photo courtesy of EcoFlight – Copyright 2009, all rights reserved.